When you visit a Park Slope dentist, you’re doing so because you care about your health. You deserve to visit a dental practice that cares about your well-being as much as you do. The Dental Spa backed by Dr. Frank J. Sapienza certainly does. That’s why we use digital x-rays when you visit for your routine dental appointments. 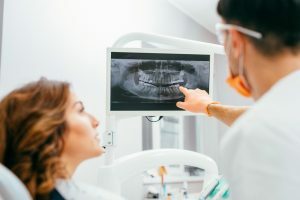 If you had any injury take place, you can feel confident that not only will we take a better look at the inner and outer structures of your mouth to fix it, but you’ll also be free of the dangers that traditional x-rays used to pose. Why might you need a dental x-ray? Taking dental x-rays are an essential part of any oral health care treatment. Dr. Sapienza uses these images to assist him in planning treatments for current dental problems. They’re also helpful in creating a custom dental plan for patient’s preventive care as well. What kind of x-rays does The Dental Spa use? When it comes to your health and safety, you can be confident that our office puts those two aspects of your experience first. That’s why our practice chooses to use digital x-rays compared to traditional dental x-rays. Why? Digital x-rays emit much less radiation compared to traditional x-rays. In fact, according to Dental Economics, radiation from digital x-rays can be as little as 10% of what patients would be exposed to with traditional x-rays. What kind of x-rays are taken? This highlights the crowns of your back teeth. Our office will take 1 or 2 images of this perspective to discover any dental issues in your back teeth and also see how your teeth align when you bite down. These images only highlight one or two teeth at a time. It shows the entire length of each tooth, from crown to root. This helps to see if there are issues below the gum line. These are larger than most x-rays. They highlight the development of teeth. This is especially helpful for children that may be faced with orthodontic issues. When it comes to preventing dental problems, you shouldn’t expose your body to other potentially harmful substances like radiation. This could just cause one more health concern. 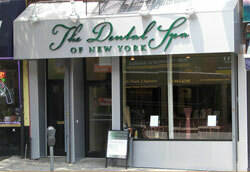 To get the care and protection your smile needs and deserves, call our Park Slope office. We’re here to help you keep your teeth and gums healthy!